The condition of your home can either make or break a great sale. Make your home shine before you put it on the market. 1. PRICE A home that is priced correctly will attract the greatest number of buyers. Since there is a direct correlation between the number of potential buyers who view a residence and its final sales price, properties that are priced competitively generate the largest possible net profits for the seller. If you are considering the sale of a residence or investment property, please give serious thought to pricing it correctly. To determine the best possible asking price, employ the services of a licensed real estate expert. He/she can provide you with an accurate professional property evaluation. 2. 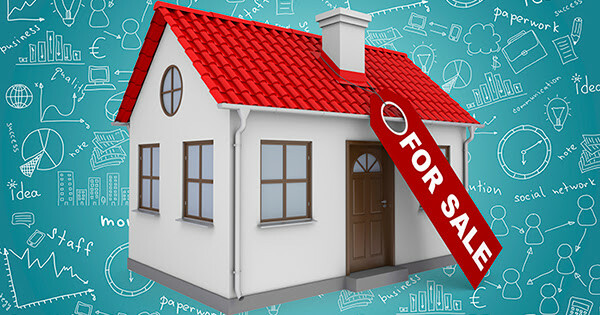 CONDITION The condition of a home is nearly as important as are the asking price and the terms being offered. Homebuyers purchase properties as much on their emotional appeal as on any other single factor. Home sellers who are willing to make their residences sparkle receive a greater net profit and sell their properties more quickly. Staging is a great way to make your home as appealing as possible, and hiring an experienced agent who has the expertise you need to make your residence shine. 3. LOCATION A property’s value is, in part, determined by its surroundings. Homes in great locations sell for higher prices and more quickly. Neither a real estate professional nor the seller can control a home’s location. For this reason, location must be given serious consideration when pricing a house. 4. MARKET CONDITIONS The overall economic conditions in a home’s locale often determine the length of time it takes to sell and its final selling price. If economic times are difficult, supply and demand must be given consideration when preparing a home for the market and when pricing it. When local economies are suffering, the demand for homes goes down and the supply of homes goes up. Under these circumstances, the only properties that sell are those that are in excellent condition and are priced correctly. 5. MARKETING An agent’s marketing skills are critical to maximizing a seller’s net proceeds and to minimizing inconveniences. It is your real estate professional’s responsibility to attract as many well-qualified buyers as possible into a seller’s home. The agent’s ability to accomplish this task will determine the size of the seller’s net proceeds check. For this reason, it is very important for a seller to choose an agent carefully. Hire only an agent who has an organized marketing plan.